Don’t wait! Experience the difference of modular homes today by scheduling a tour. We offer a wide variety of floor plans for our modular homes to ensure we can accommodate your family. We are the only full-service modular home dealer in central Texas. Your true one stop shop. Own property? Let us build your home! If you are tired of renting houses and apartments and wish to purchase your own home, consider a modular home! This type of housing is affordable and customizable according to your family size and wishes. At Modular Homes Austin, we offer high-quality modular homes for individuals and families searching for stable housing! It is our goal to help you find the perfect modular home for both you and your loved ones so you never have to worry about relocating again. For more information, please call us at (512) 385-9701! Let us build your dream home at an affordable cost! Do you own land but do not wish to work with a plethora of contractors and other companies to build your dream home? 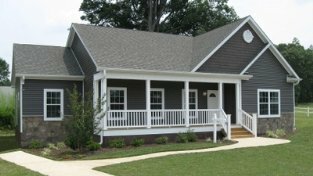 At Modular Homes Austin, we can help you build your ideal house at an affordable cost! 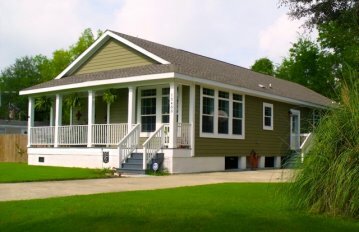 The modular homes we sell at Modular Homes Austin are not only affordable, but high-quality, as well. What is a Modular Home? Modular homes are very similar to site built homes, however; Modular Homes are built in a controlled environment out of the weather elements. Once built, Modular Homes are transported to the home site in modules, installed on permanent foundations and completed by professional contractors. We can help you select the best modular home for your family! Why Modular? Modular housing has many benefits, including cost, availability, and sizing. No matter how big or small your family is, we have the modular home for you! One of the many benefits of modular homes is having it built specifically for your property and needs. Construction time can be reduced more than 35% so you get into your new house FASTER to enjoy it sooner. Site built homes can take over a year to complete while modular homes are assembled on site and finished in weeks. Better Quality than Site Built Our modular home companies utilize higher quality products and materials than many site built companies, meaning your home can last longer. Floor Plans- 2 & 3 Bedrooms: You can learn more about our two and three bedroom floorplans via this page, as well as what they would look like fully-built. Floor Plans- 4 & 5 Bedrooms: If you are looking for a bigger modular home, we offer four and five bedroom plans that have plenty of room for everyone! Regardless of where in Texas you reside, our team can help you purchase the perfect modular home. We have a dedicated team of home consultants and real estate professionals on staff who specialize in modular homes built on property you own. As Texas residents, we understand how difficult it can be to find quality modular housing in an area you love. This is why we offer modular homes that can be customized to your liking! No matter how big or small your family is, our modular homes are the perfect solution for your housing needs. Our team can also assist with financing if needed. Modular Homes is the only full-service modular home dealer in Central Texas, so we strive to be your “one-stop-shop!” When you work with us, you will not need to hire any sub-contractors, other realtors, water companies, etc. We handle everything and have Spanish-speaking staff members for clients who don’t speak English. If you would like to schedule a tour of one of our modular homes, please do not hesitate to contact our Austin modular home company at (512) 385-9701 today!